Imagine that the only humans you saw were adults, you never see babies, then you would not be able to understand how humans develop from babies to adults you would have no idea! 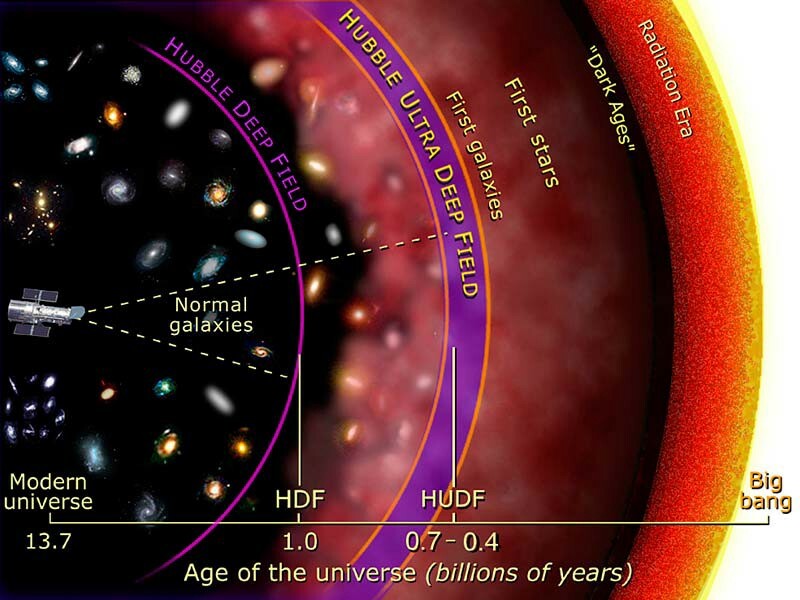 That’s why we are lucky that when we look far away we can see the baby universe. The picture above is a teenage universe, the picture below illustrates how the universe looks different the farther away you look. 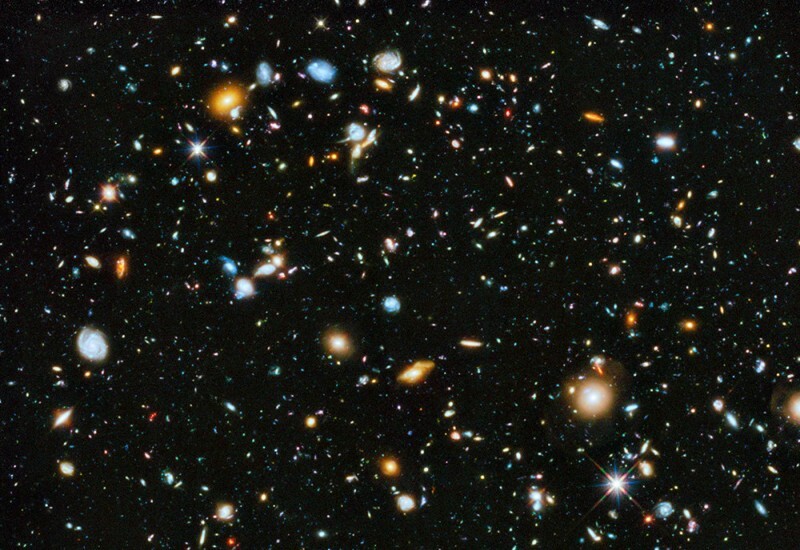 If you look far enough you will see an get to an era before planets and starts and galaxies form, an era were everything was packed so close together that the universe was a soup of positive and negative charges (called a plasma). It is amazing that we used to be this soup and now we are humans using the internet, the universe has been through a lot! !